From when my daughters wake up in the morning until they go to bed at night, everyday life is an adventure! My girls really love imaginative play and nourishing their creativity with Nestlé Nesquik® Chocolate Milk is something I can feel good about! Whether we’re simply heading to the supermarket to pick up some groceries or we’re meeting some friends at a nearby park, my daughters are always thinking of creative ways to see and experience the world. At the supermarket, they like to bring their own “shopping lists” and cross items off as we find them in the aisles. At the park, when they swing on a monkey bar, they like to make monkey noises and pretend like they are gorillas in the jungle! To keep my daughters nourished and to encourage their creativity, I always like to make sure I’m giving them delicious & nutritious snacks & drinks, like the Nestlé #Nesquik Chocolate Powder dissolved in milk! Just the other day, we were doing some crafts together in the dining room and my kids took the imaginative play up a notch! We were in the dining room making these adorable Beaded Hearts for Valentine’s Day and my girls pretended like these beads were the most precious royal jewels in the kingdom and they were guarding the jewels from any trespassers that might come into their kingdom! My daughters both got dressed in some of their Princess Gowns and Crowns! These Beaded Hearts were so precious to my daughters, because they made them themselves and because they love being creative! 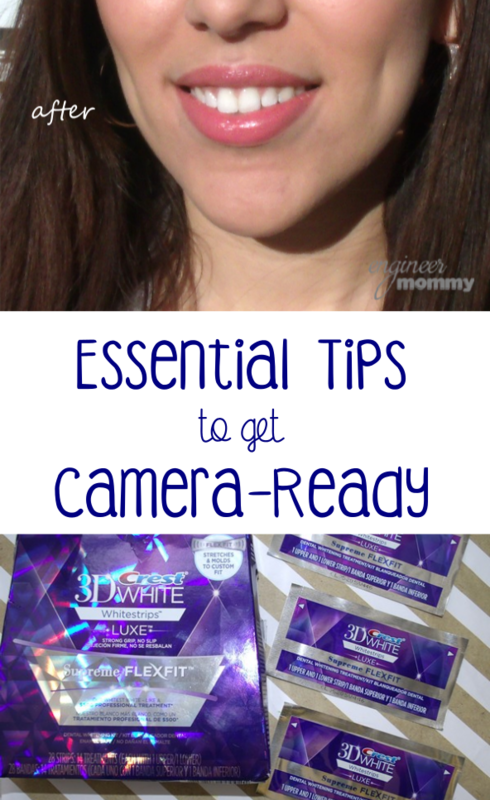 The tutorial for making these is so easy! Here’s how it all comes together! 1. Form a loop at the end of one wire about 8-12″ long. 2. 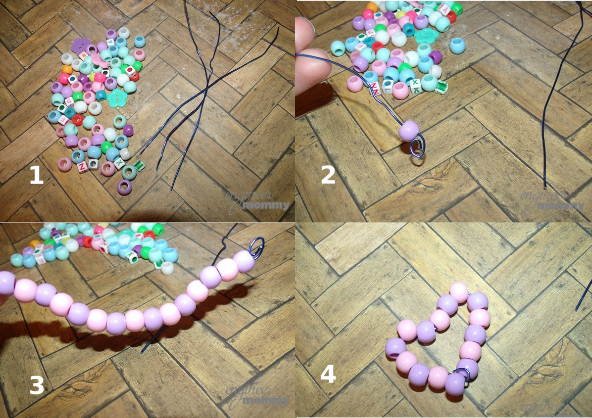 String the beads onto the wire, all the way to the other end. 3. Connect the two ends of the wire and twist together so the beads won’t fall off. Shape the wire into a heart! Easy peasy! Here’s my 4 year old hard at work creating her beaded heart! Making crafts and playing together always makes my kids hungry. 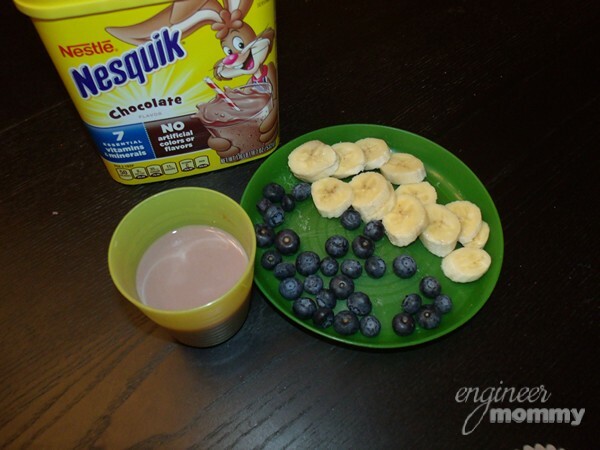 To give them a nutritious snack, I love preparing a simple plate of fruits and a cup of chocolate milk. By using Nestlé Nesquik® Chocolate Powder, I know I am infusing the chocolate milk with Iron to boost growth, Vitamin C to support the immune system, Copper to aid in blood cell formation and Manganese to support healthy bones. And of course, Nestlé Nesquik® Chocolate Powder also has 3 Essential B Vitamins that help the body make & use energy effectively. When they get thirsty, I can smile and tell them to drink their chocolate milk because Nestlé Nesquik® Chocolate Powder dissolved in milk offers the ideal 3:1 ratio of carbs to protein that’s designed to replenish muscles. 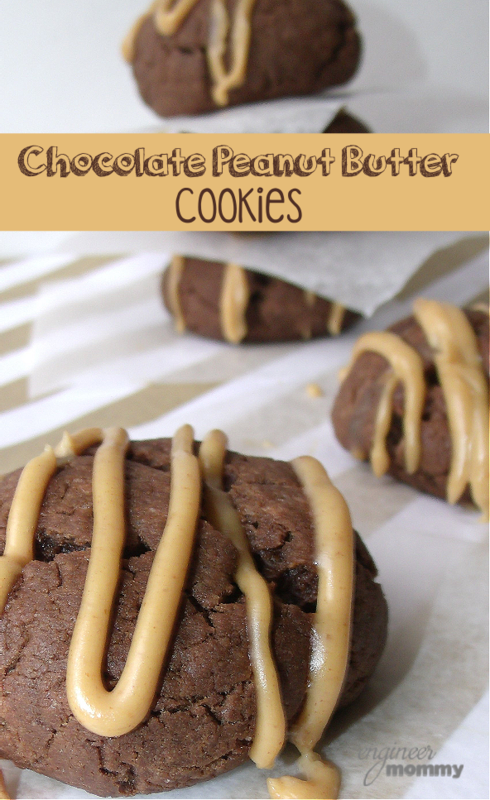 The Chocolate Powder also provides 8g of protein to aid in growth & development. They love that great, delicious chocolate taste that Nestlé Nesquik® Chocolate Powder offers and I love that it has 45% less sugar than the leading chocolate syrup brand and with none of the artificial colors or flavors! 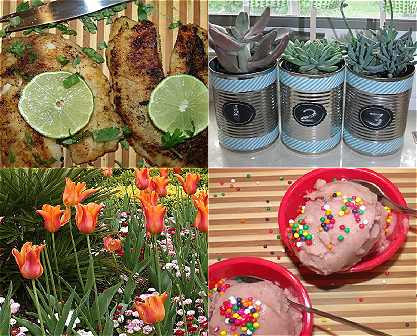 If you’re looking for more ways to creatively incorporate Nestlé Nesquik® Chocolate Powder into your child’s breakfasts and snacks, check out their Pinterest page here! Also, keep updated with their latest news & offers by visiting their Facebook page here! Now, learn more about Nestlé Nesquik® Chocolate Powder here and tell me: How do your kids like to get creative? How do you spark their curiosity about the world around them while providing nutritious snacks & drinks? 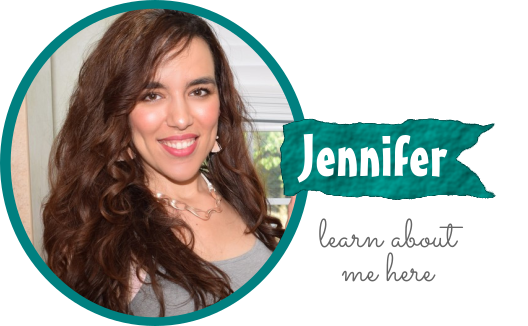 Disclosure: Thank you to Nestlé for sponsoring today’s post and inspiring me to try Nestlé® Nesquik®! I remember drinking this stuff as a kid! I still love chocolate milk to this day, as does my daughter! 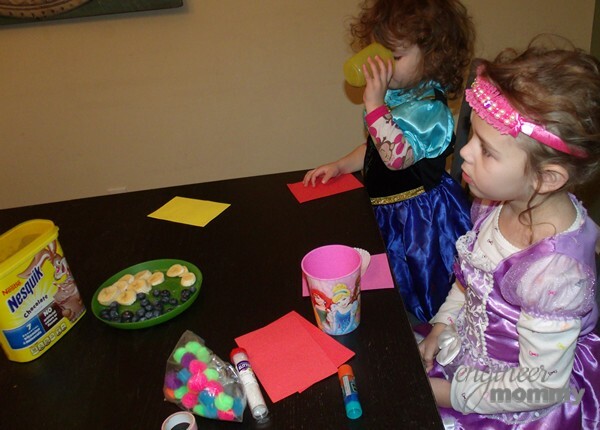 Dress up, beads and Nestlé Nesquik! It just doesn’t get any better than that. So cute! Creative play and Nestle Quick are no strangers here either. Abby’s home from school sick today and I just made her some hot cocoa with Nestle Quick. Those beaded heart projects are so cute. My daughter loves “ilkshake” as she calls them. I had no idea Nesquik was quite a healthy choice over the other brands out there. I will have to get some when I next go shopping. My kids love to drink Nesquick! What a fun activity to make beaded hearts like this. I’ve always loved nesquick, ever since I was a kid. Its so yummy. 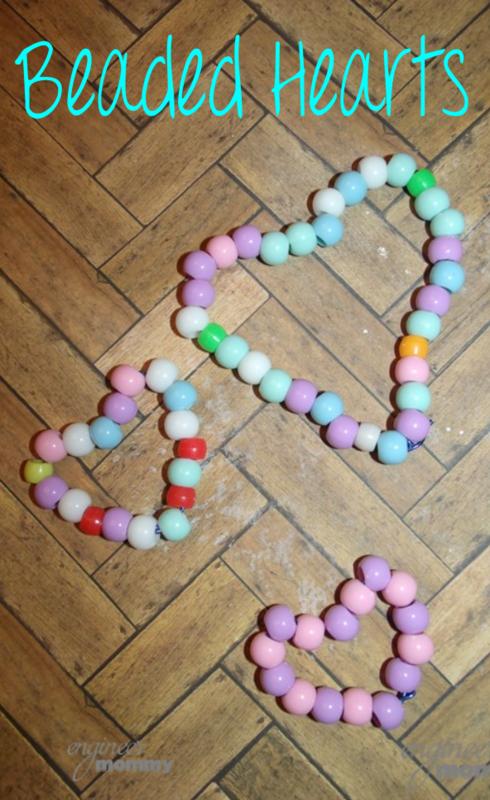 Your kids look like they had a lot of fun making these hearts! I remember drinking Nesquick when I was a child also making it for my girls! I used to love their Banana milk flavor the best! We’ve always been fans of Nesquik, so I totally get it. 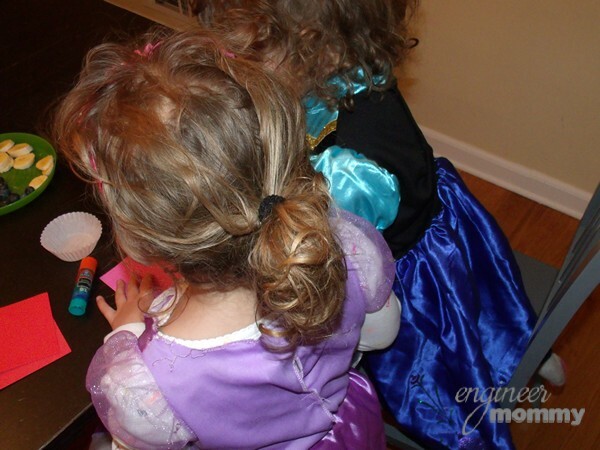 And this craft looks like such for little girls (oh how I miss the days of princess costumes)! 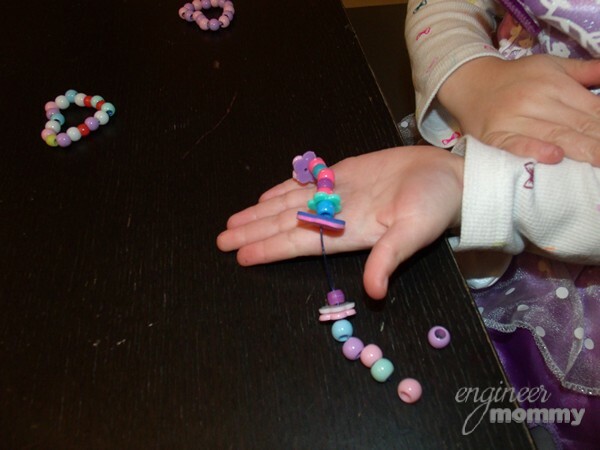 Our craft baskets are filled with pipe cleaners and beads…my kids love making jewelry with them! Nesquik was always something that I asked for when I was younger. I love that they are still around today to share with our little ones! These looks like such a fun get together. Beaded heart bracelets and Nesquik to keep the fun going! My kids would love to do this craft. Especially my youngest. Thanks for the great idea just in time for Valentine’s Day! I love how simple this craft is – perfect for valentines day. Also nesquick is soooo yummy! I prefer it to regular chocolate milk. How fun! My little one loves making things with beads. And, we love our Nesquik! Aw I loved beaded jewelry when I was a child. This post brought back so much nostalgia for me!